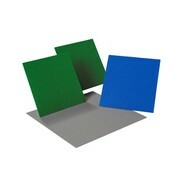 Features 22 building plates in three different sizes and a variety of colours. Use as foundation for your LEGO® creation, to create landscapes, or for constructing tall buildings. 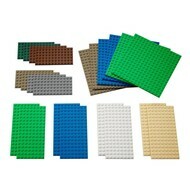 Use blue to represent the sea, green for grass, beige for sand, grey for concrete, brown for soil, etc.